President Donald J. Trump’s abrogation of the 2015 international nuclear agreement with Iran is likely to put his America First policy to the test. Mr. Trump’s decision to walk away from the agreement that curbed Iran’s nuclear program risks fuelling a nuclear race in the Middle East, particularly if Iran decides that the US withdrawal has rendered the deal unbeneficial. 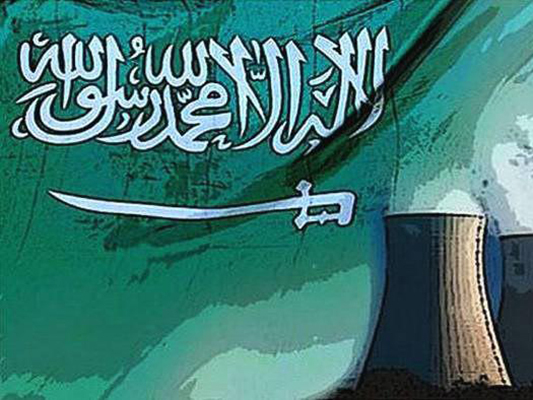 Competition for a slice of the Middle East’s nuclear pie is already in full swing with Saudi Arabia emerging as one of the world’s largest and most immediate export markets. To ensure that the United States remains competitive, Mr. Trump is likely to have to compromise on strict US conditions that have governed US nuclear exports until now. Failure to do so could deprive America’s nuclear industry of its best option for recovery from the fallout of overregulation, foreign competition and the rise of rival energy sources, including gas and renewables. Raising the spectre of a nuclear race, Saudi foreign minister Adel Al-Jubeir last week reiterated the kingdom’s warning that it would develop a nuclear weapon if Iran were to pursue military aspects of its program. Mr. Al-Jubeir as well as Crown Prince Mohammed bin Salman have not defined what they would consider Iranian efforts to develop a nuclear weapon if Iran too decides to walk away from the 2015 agreement and revitalize its nuclear effort unfettered by the deal’s restrictions. Saudi distrust of Iranian intentions has been reinforced by Israeli prime minister Benyamin Netanyahu’s recent disclosure that the Jewish state’s intelligence service had laid hands on 100,000 Iranian files that document Iranian efforts to develop a nuclear weapon prior to the 2015 agreement. Iran has consistently denied that it wanted to develop a nuclear weapon. The Islamic republic has also said it would remain committed to the nuclear agreement despite the US withdrawal and re-imposition of sanctions if the other signatories – Britain, France, Germany, Russia and China – fulfilled their obligations and ensured that Iran would benefit economically. Iranian foreign minister Javad Zarif is visiting Beijing, Moscow and Brussels to ascertain whether the signatories are committed to defying Mr. Trump by doing business with and investing in Iran despite the risk of their companies suffering the wrath of the US Treasury. US Energy Secretary Rick Perry is meanwhile hoping that Saudi Arabia’s ambitious civil nuclear program will create opportunity for American companies. The program entails building 16 reactors by 2032 with a capacity of 17.6 gigawatts (GW). Mr. al-Jubeir said In March that the kingdom was engaged in talks with ten nations about its nuclear program, including Russia and China, countries that likely would be more amenable than the United States to reduced safeguards and broader arrangements. Saudi Arabia has demanded in discussions with the Trump administration the right to enrich uranium and reprocess spent fuel into plutonium, potential building blocks for nuclear weapons, as part of any agreement with a US company. The Saudis argue that Iran has that right under the 2015 agreement. Mr. Perry, in a first step to ensure that Westinghouse, the US company most immediately concerned, would have a fighting chance, persuaded Saudi Arabia to include American firms in a bid for its first two reactors. The kingdom had initially invited only Chinese, French, Russian and South Korean bidders. The energy secretary is at the same time negotiating a non-proliferation trade or 123 agreement with Saudi Arabia that is required by US law as a pre-condition for participation of American companies. A sticking point in the negotiations is the fact that the United Arab Emirates set a high benchmark when it accepted to foreswear enrichment and reprocessing as part of its 123 agreement. The UAE this year completed construction of the Arab world’s first commercial nuclear reactor. UAE ambassador Yousef al-Otaiba warned in 2015 after the conclusion of the Iran deal that it may want to amend its agreement to have the same right as Iran to enrich uranium. “Your worst enemy has achieved this right to enrich. It’s a right to enrich now that your friends are going to want, too, and we won’t be the only country,” Mr. Al-Otaiba was quoted as saying at the time. The UAE has not publicly raised the issue since but could well do so if the Iran nuclear deal is definitively cancelled or Saudi Arabia is given the right to enrich. Saudi demands for the right to enrich and a potential UAE backtracking on its arrangements that have been declared the gold standard for nuclear exports potentially leave Mr. Trump with a stark choice, Ms. Tubb’s reasoning notwithstanding. He either lowers the bar and risks fuelling a nuclear race in the Middle East or sticks to the high ground at the expense of opportunity for America’s nuclear industry. If Mr. Trump’s record is anything to go by, his choice would seem a foregone conclusion.